US Health - John Snow, Inc. The Health Information Technology, Evaluation and Quality Center (HITEQ) collaborates with Health Resource and Services Administration (HRSA) partners to optimize Health Centers’ use of electronic health records to achieve improved health outcomes. 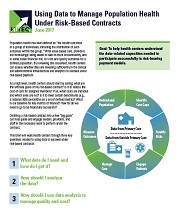 This is accomplished through identifying and disseminating best practices and resources related to health information technology (HIT) and data-driven quality improvement. The HITEQ Center will provide QI/IT technical assistance and training; establish a searchable database/clearinghouse of promising practices and resources; and develop and disseminate tools to support data hygiene. For more information on Health Care Transformation, click here. Project Timeline: 07/01/2018 to 06/30/2019. 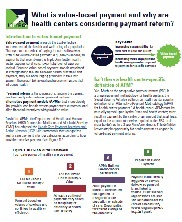 What is value-based payment and why are health centers considering payment reform? © 2019 John Snow, Inc. and JSI Research & Training Institute, Inc. If you wish to report a violation of JSI's Code of Conduct, please use our Code of Conduct Helpline.